From high precision Swiss screw machining to high precision multi spindle production, MPC matches the machine to your micro part’s specific requirements optimizing cost effectiveness and maximizing quality! Have a really unique precision requirement? MPC can adapt or even build a machine to make your specific part in high volumes. We are committed to providing our customers with the highest level of quality and satisfaction - learn more about our quality assurance process. Our micro size Swiss screw machined parts clearly demonstrate our ability to machine complex parts in a size range nearly invisible to the naked eye. 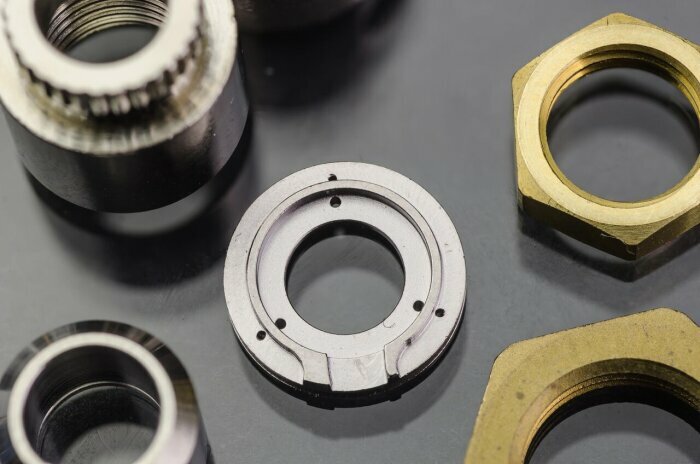 Like our name says, we specialize in machining miniature, precision custom components from both free machining and non-free machining materials. The more complex and critically toleranced the part is, the more cost effective solutions we can provide you. We maximize precision and speed for a higher quality product at a cost savings. 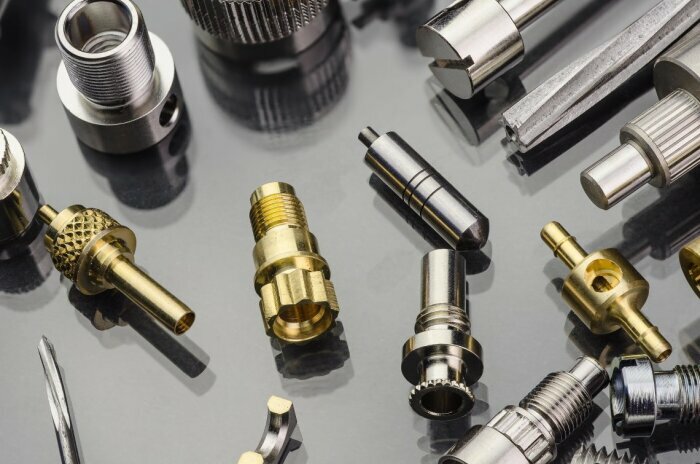 Our high precision machining services include micro tolerances Swiss machined parts, precision deep hole drilled Swiss screw machined parts, complex geometry & large diameter Swiss and non Swiss screw machining, threaded machine parts, and slotted & crimped Swiss screw machined parts. Our high precision Swiss screw machining equipment requires no costly secondary operations to achieve superior surface finishes. 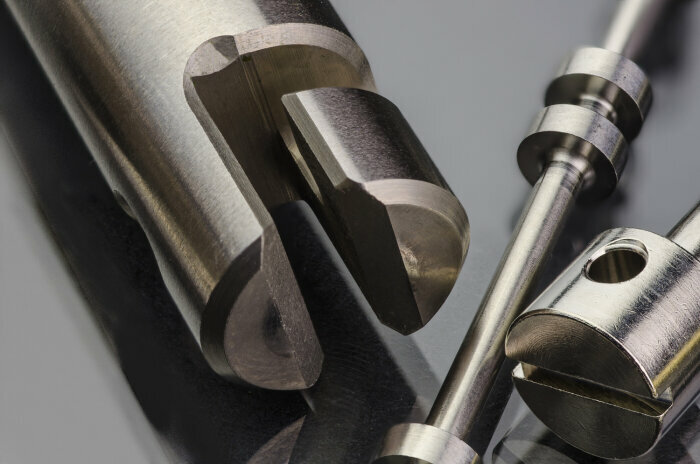 We routinely produce parts with surface finish requirements of 4-8 micro inches complete on the Swiss screw machine, often using only standard tooling depending on the material. We use tumble polishing to further improve the finish, when necessary. Micro Precision takes pride in our ability to machine precision parts with extremely tight tolerances complete on the machine in one operation. 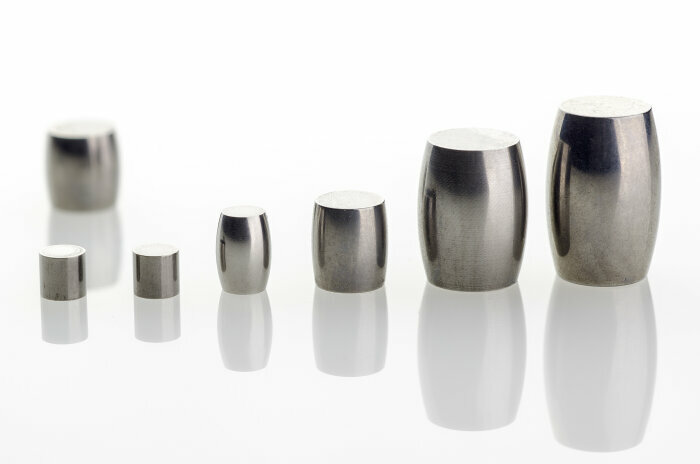 However, some components - both micro and larger - require an even higher level of precision demanding our specialized high precision lapping, rolling and centerless grinding capabilities.